Let's hope this all leads to a more stable Windows 10. While Windows 10 is designed for a range of hardware, more modern, powerful PCs will benefit from reliability improvements in the new Windows 10 Insider build 14942, released Friday. The new Insider build for the Fast ring includes a laundry list of tweaks and new changes, but the most important are some under-the-hood improvements that Microsoft promises will help improve the reliability of PCs with over 3.5GB of memory. Microsoft’s other updates include an extension of the Active Hours period, improving the touchpad, and an update to the Photos app. The only drawback, Microsoft warned, is if you use the new build to play games that depend on Xbox Live. 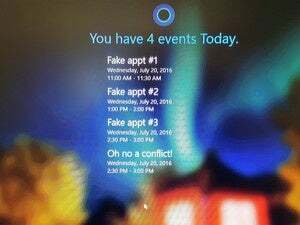 Sign-ins may fail, and to fix it, you’ll need to edit the PC’s registry file, a task that should be accomplished by experienced PC users only. Why this matters: Unfortunately, bugs still plague Windows 10, even a year after it release and a month or so after the release of the Anniversary Update. Stomping some of these is always welcome. And the Insider updates have a bit of spice to them, as Microsoft is expected to talk more about the “future of Windows 10” later this month. One of the improvements in Google’s Chrome browser (and now most if its rivals) was the fact that if a tab crashed, only the tab crashed—and not the entire browser. Microsoft’s service hosts have evolved in a somewhat similar fashion. Microsoft’s Service Hosts store a number of host processes within them, and when one of those processes fails, they take the others down, too. That, of course, increases the likelihood of a system crash. Processes will be broken out within the Task Manager, so that (if you want to) you can have a better idea of what’s going on within your PC. Now, if your Insider PC has more than 3.5GB of main memory, Microsoft will begin splitting out some of the processes the hosts used to group together. That will improve stability, allow you to see what process is sucking up memory and your CPU, as well as allow Microsoft better insight into exactly what’s crashing PCs, the company wrote in a blog post. Active Hours have been extended for all but Windows 10 Home users. Microsoft also tweaked the process by which you can install critical updates. Known as Active Hours, the setting avoids installing a critical update as you’re making a sales pitch or taking notes in class. 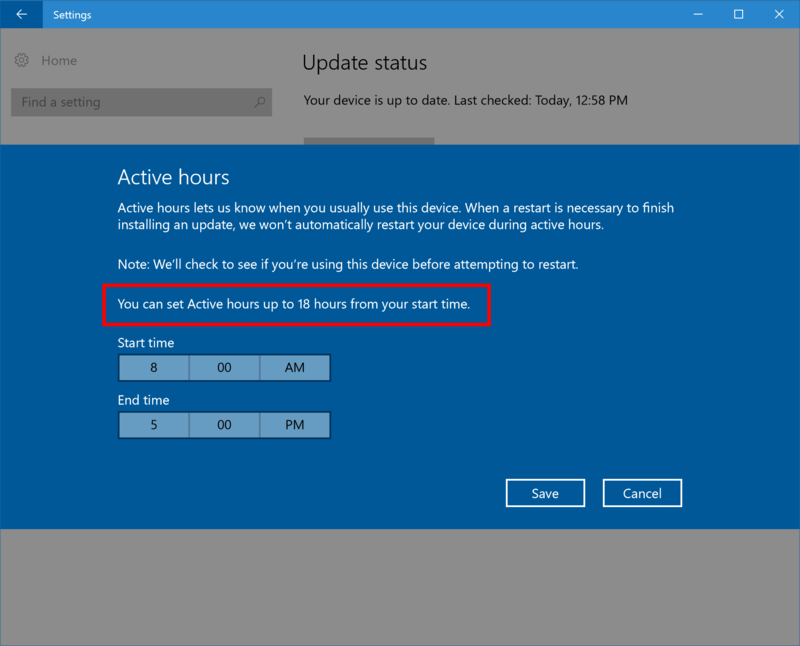 By default, the Active Hours period was 12 hours—and it still is, for Windows 10 Home PCs. But for Pro, Enterprise, or Education editions (as well as Windows 10 Mobile), you can set the Active Hours up to 18 hours later, just in case you’re burning the midnight oil. 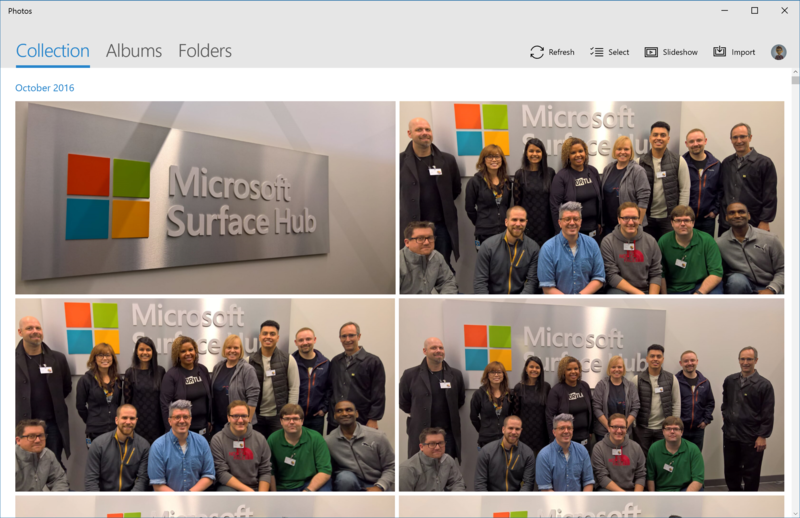 Microsoft also updated the Photos app, adding a new light theme and a horizontal navigation bar. Behold Photos’ new light theme. Inside Narrator, Windows 10 will now read back entries inside form fields—a nice upgrade for the visually impaired. 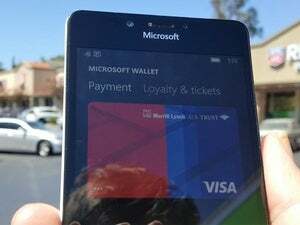 Touchpad sensing has been improved: Microsoft has enhanced the detection of left and right clicks, reduced “false positives” in two-finger tap detection, and improved pinch-to-zoom. If you uninstall one of the pre-installed apps on Windows, that app will also be gone after you upgrade your build. If you do run into a case where you’re having problems signing into games using Xbox Live (see the blog post for the specific fix) the Registry Editor has been improved with an address bar so you can see where you are. Finally, Microsoft reminded users again that if you haven’t upgraded an old Insider build, be sure and do so. They can expire!